Since 30th of September 2010, the so called “Black Thursday”, when police used water canons and tear gas against a peaceful and approved demonstration made up of school children, youths and elder people who were protesting against the railway and real-estate project Stuttgart 21 and asked for more investment in education, the city of Stuttgart became well-known even internationally. There were over 300 people injured, some seriously. 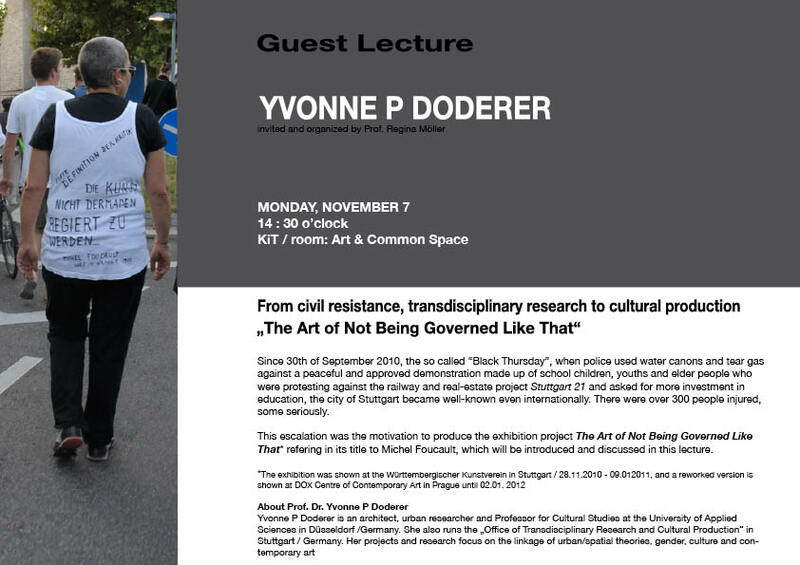 This escalation was the motivation to produce the exhibition project The Art of Not Being Governed Like That* refering in its title to Michel Foucault, which will be introduced and discussed in this lecture.